With the Red Priests on their side and spreading pro-Daenerys propaganda, Tyrion and Varys see Meereen returning to life. After warning Tyrion not to trust the Red Priests, Varys leaves for Westeros to find more allies and ships. Tyrion then has a drink with Grey Worm and Missandei. He then tries to introduce them to humor by trading jokes. 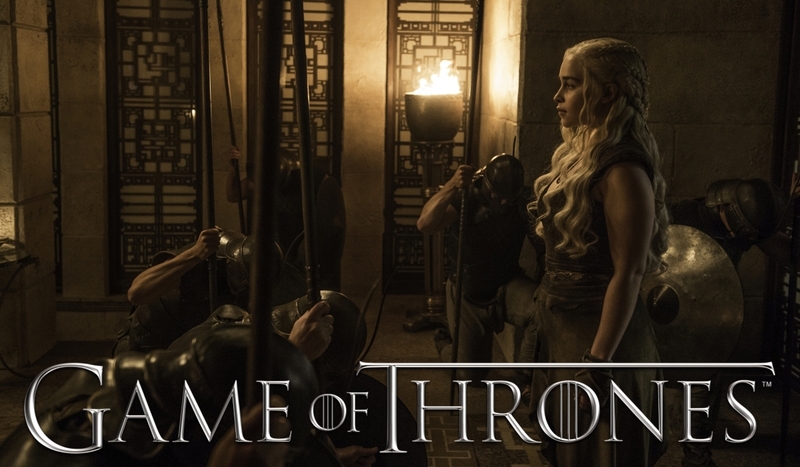 As they start having a good time, they are interrupted when a fleet sent by the Masters arrives to attack the city, with Missandei explaining that they come to recover their “property.” As the Masters’ fleet bombards Meereen into the night, Tyrion and Grey Worm discuss their strategy when Daenerys returns to the city, arriving at the top of the Great Pyramid with Drogon.